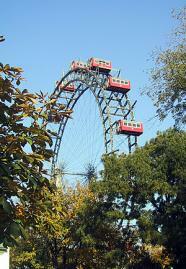 The famous Volksprater with the Giant Ferris Wheel is around the corner from Apartment Leopold. Please take advantage of the Prater for walks or jogs. It is the largest inner city park - a gorgeous oasis after a hard day of sightseeing!